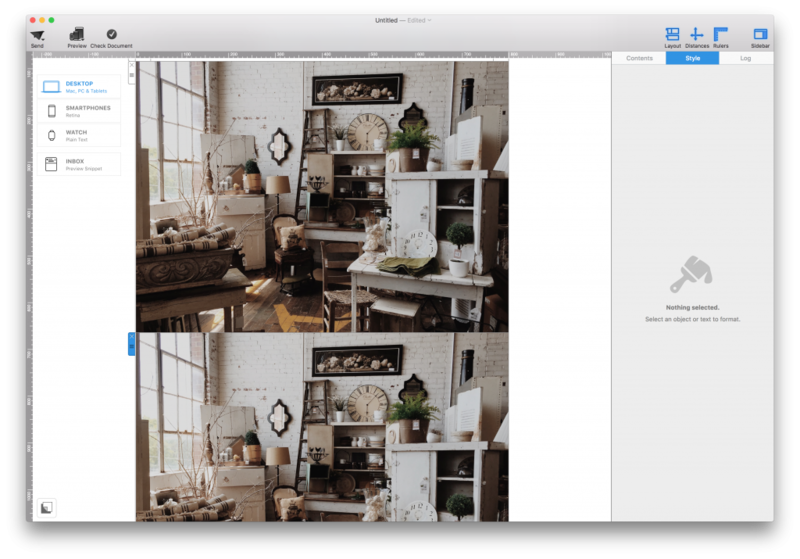 If you are setting up multiple similar layout blocks, it may be easier to duplicate an existing layout block instead of choosing your font and color options again. 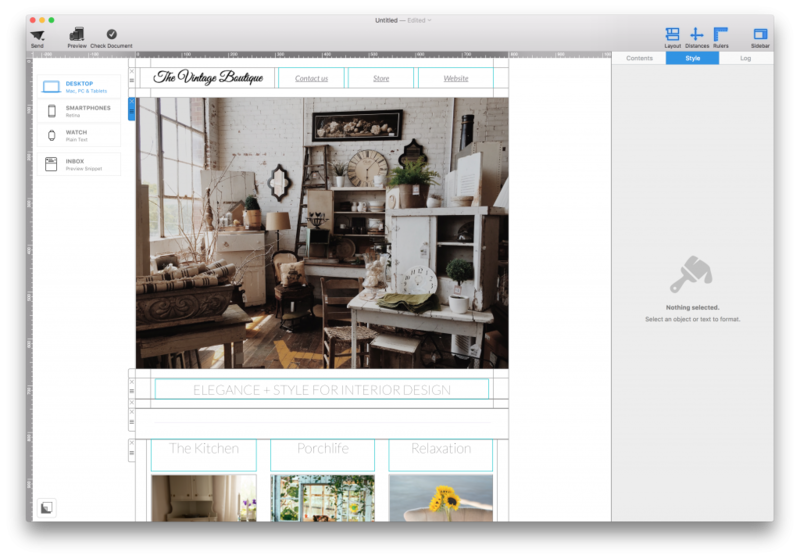 There are 2 ways you can duplicate layout blocks. ‣ Click the selection tab handle at the side of a layout block or click on the layout block itself. Next, choose “Edit” > “Duplicate” from the menu bar. ‣ Click on the layout handle on the left side of the layout block. 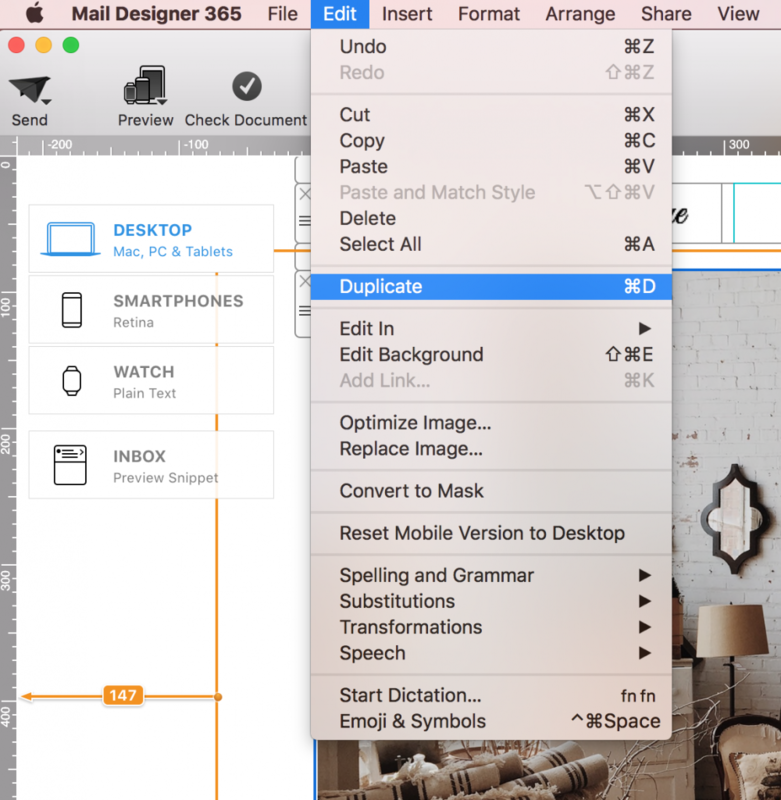 ‣ Hold down the option key or the alt⌥ key on your keyboard and drag the layout block that you want to duplicate. ‣ Drop it into position to create a copy. Then edit your text and other options accordingly. ‣ Select the layout block handle or the entire layout block (both method works). ‣ Once selected, press Command⌘ D on your keyboard. This will duplicate the selected layout block.